13 x 13 purple and pink Bounce House is the perfect addition to any girls party, comes with the fairy theme art panel to make all the party guests impressed. 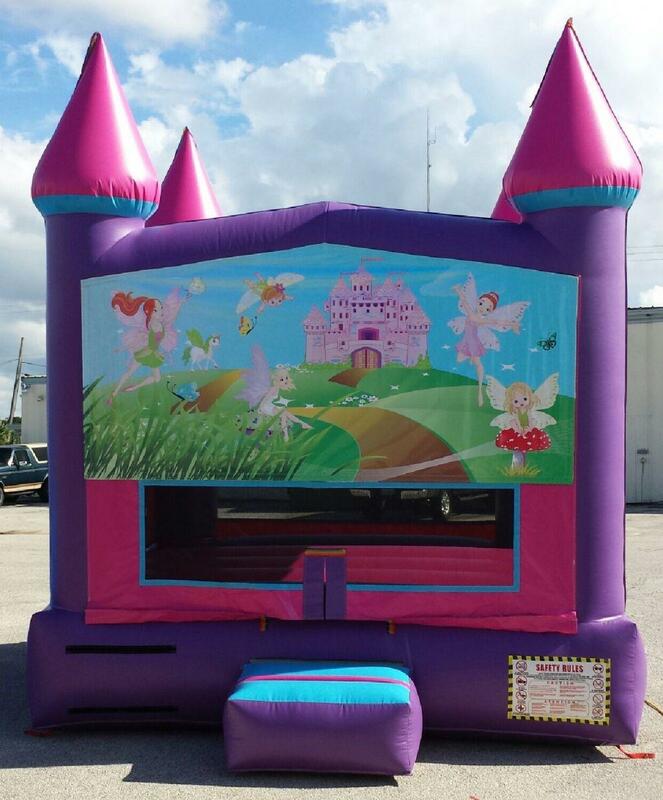 Here at A Bouncin Good Time Moonwalks we take pride in your parties and events as if they were our own special days, you will always receive a clean and in great shape inflatable as well as the best customer service around. We do this for a living, not side job, so our attention is always on your events.